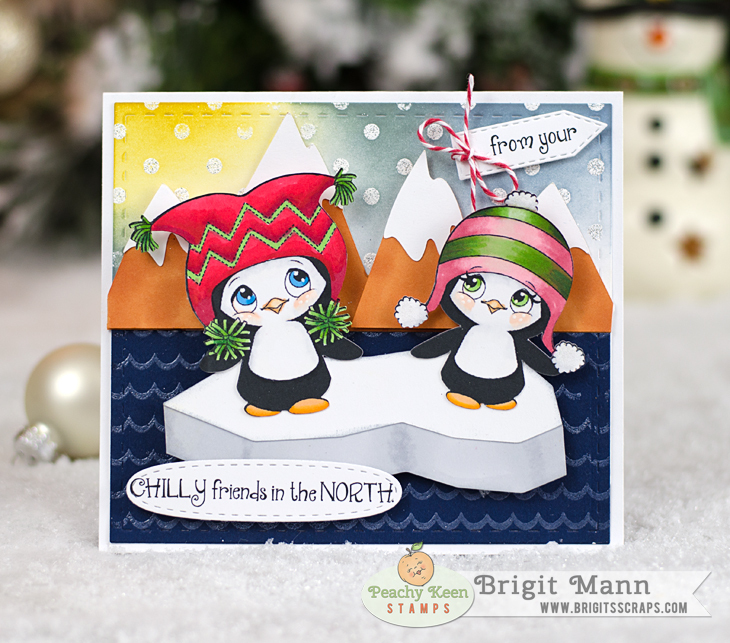 Here's a quick card I made using Peachy Keen Stamps new face stamp set Happy Snow Couples Assortment. If you haven't already definitely check out this months new releases, they are all so adorable. I think it's my favorite, though Kathy always manages to amaze me with her fabulous designs. I kind of messed up the card a little, I should have moved the bottom two snowballs closer, I didn't want to pull them off and fix it so you can see the white in between, oh well! The Striped card base was created using PKS Candy Stripe background stamp. 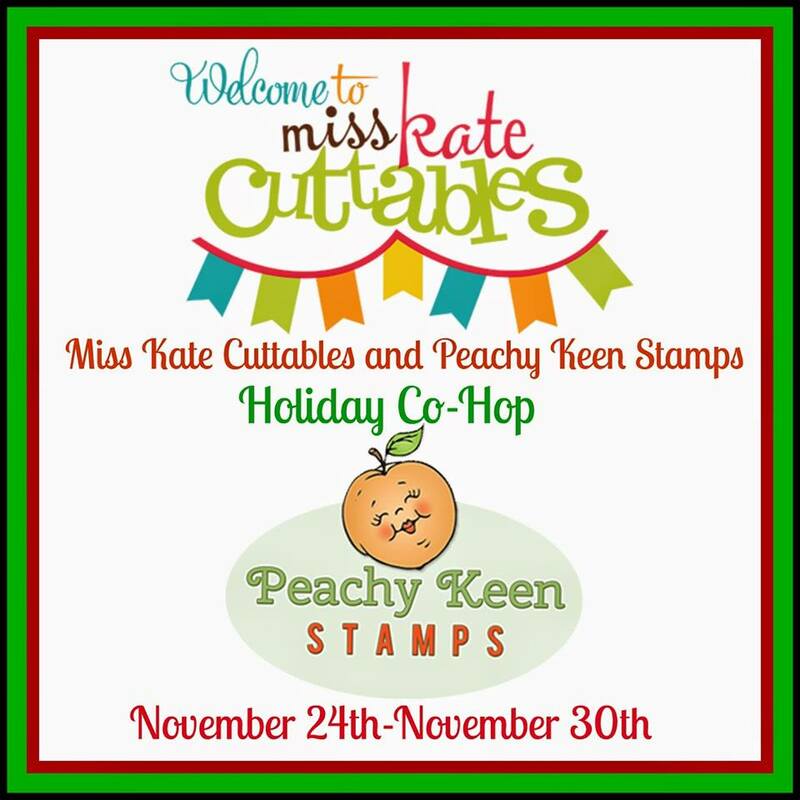 Peachy Keen Stamps Thanksgiving Weekend Sale! I love this stamp set PKSC-July2013 from Peachy Keen Stamps, it's on special till the end of November, only a couple more days. It's a great time to pick up some stamps during their Thanksgiving Weekend Sale! There's also a free stamp with purchase! Besides the train and sentiment from the set, I used two backgrounds, Candy Stripes and Cloudy Day, two of my favorits! I embossed the stripes with some red glitter embossing powder, looks so pretty in person. Here's another card using the same set and the Chinese Swirls background stamp. Holiday projects created by the talented and amazing designers from both teams! ONE lucky blog hopper will win a $75.00 Gift Certificate from all the comments for the week. and we'll have that day's line up for you! their project for each day, AND to get in on the chance to win that $25 daily Peachy Keen Stamps Gift Certificate. Make sure you follow Miss Kate Cuttables Blog too. on this wonderful Holiday Co-Hop! That gift box for the ornaments is so pretty, such a nice way to give some homemade ornaments!! Merry Christmas From The North Pole! Hi everyone!! Besides Peachy Keen Stamps new release there are a bunch of wonderful Specials going on for the month of November! 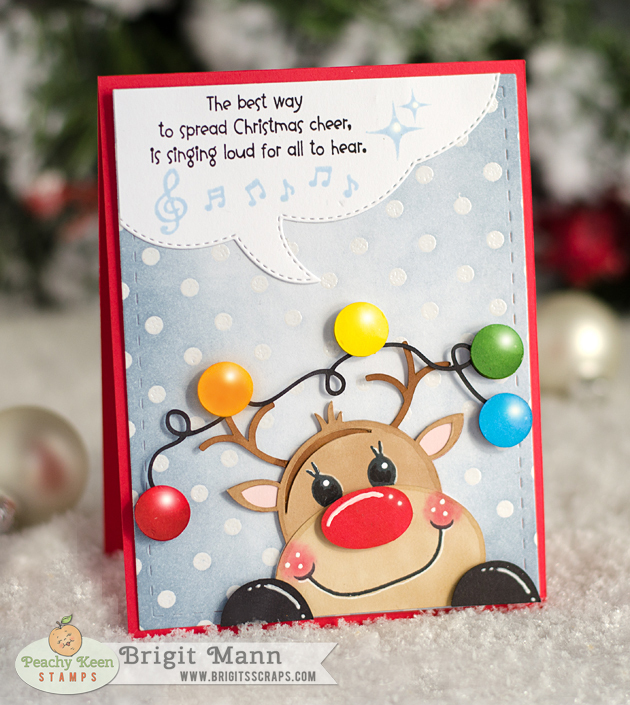 Here's a quick card I made using this reindeer and sentiment from the PKSC-11 November 2012 release. It's such an adorable set and I love the size of the stamps. I used dies from Jaded Blossom. 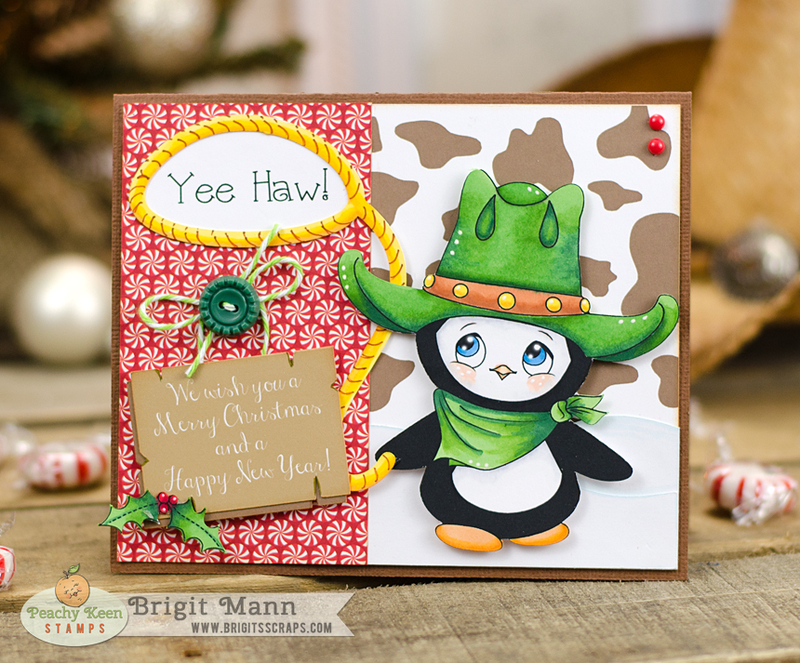 I thought this snow cowboy, (PK-1453 Faceless Cowboy Hat Snowmen and Penguins) was just perfect for this card which is from SVGCuts Happy Trails Kit. Totally love how it looks!! Here I used Pk-1440 Maxwell and Barrett and the bag is from the Silhouette Online Store. 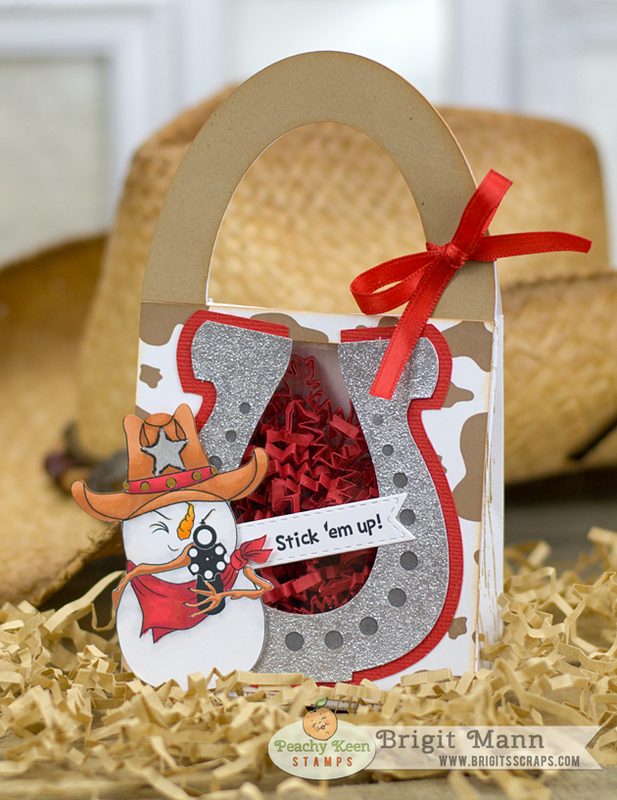 I didn't have glitter paper so I used silver embossing powder on the horseshoe. I also used PK-1437 Square Cow Print for the front cover. The Penguins are from Pk-1443 Faceless Penguins and the sentiment is from Pk-1449 Holiday Sentiments. 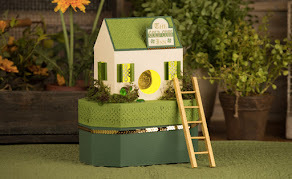 I also used two Peachy Keen backgrounds, Scalloped Rooftop and Large Polka Dot. 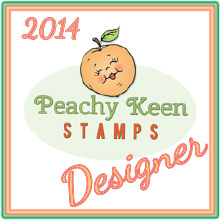 Peachy Keen Stamps will be giving away one $50 Gift Certificate in celebration of this release! 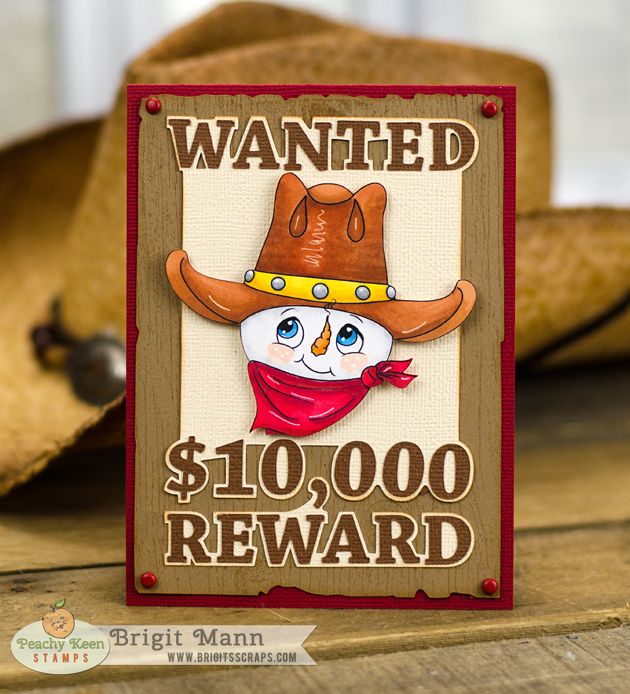 That winner will be selected from all the Facebook Page comments on all of the stops on this hop, and will be announced on Monday on the Peachy Keen Stamps blog and Facebook Page. Good Luck to you and thanks for joining us!! So did you like what you saw so far, aren't these stamps just adorable!! I cannot pick a favorite, I love each and every one! Some of the stamps being showcased today are PK-1445 Happy Snow Couples Assortment, PK-1446 Happy Snow Couples 1 1/8", PK-1447 Happy Penguin Couples Assortment, PK-1448 Happy Penguin Couples 1 1/8", PK-1451 Faceless Snowmany Mittens and Hats, PK-1452 Faceless Happy Snow Day Characters, PK-1453 Faceless Cowboy Hat Snowmen and Penguins, PK-1449 Holiday Sentiments and PK-1450 Faceless Flake and Christmas Tree. I used the PK-1453 Faceless Cowboy Hat Snowmen and Penguins with the 1 1/8" PK-1448 Happy Penguin Couples set. Sentiment is from the PK-1449 Holiday Sentiment set. The holly is from yesterdays sneak PK-1442 Cowboy Christmas. The rope is from SVGCuts collection Jonathan's Bears, these are so cute and go so well with Peachy Keen Stamps. I used some limeade Trendy Twine to hold up the greeting! PRIZES :: PRIZES :: PRIZES!!! There will be a $25 Gift Certificate for each day of sneak peeks and one $50 Gift Certificate for the Facebook Hop. Winners will be chosen randomly from ALL the comments on all of the stops on the hop. Good Luck!! It's Peachy Keen Stamps sneaky peeky time once again, we are so excited to have you join us today and tomorrow here on our blogs and Friday we are having a Facebook Hop. This release will have you shouting YEEHAW for sure!! I love all of these sets, it just may be one of my all time favorite releases. Just wait until you see what Kathy has created, I know you all will love them too!! Some of the sets being showcased today by the Design Team are PK-1439 Jr. & Charlotte, PK-1440 Maxwell & Barrett, PK-1441 Rocky The Rocking Horse, PK-1442 Cowboy Christmas, PK-1443 Faceless Penguins, PK-1436 Bandana Flowery, PK-1437 Square Cow Print, PK-1438 Square Bandana Basic and PK-1444 Dear Santa & Penguin Sentiments! I love tags and these sets make them look so adorable. I used the PK-1439 Jr. & Charlotte set, love these adorable snow cowboy and girl!! 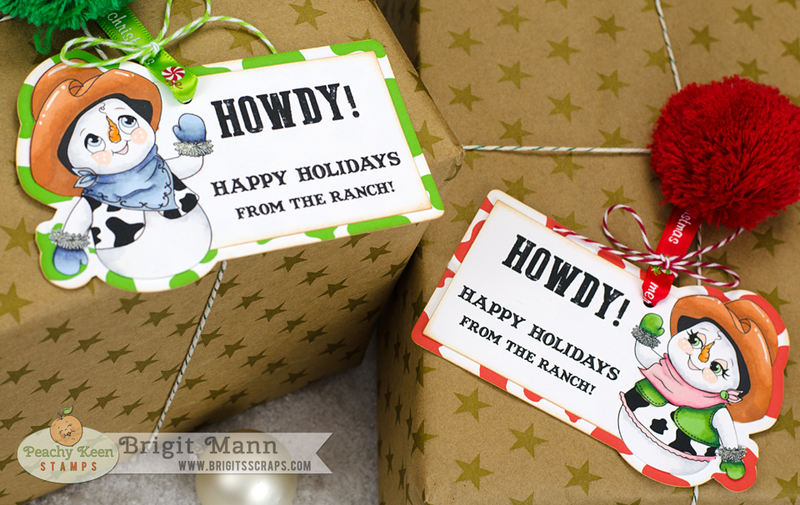 I also used the PK-1437 Square Cow Print background, this background is awesome, it looks great in all colors, as you can see I used red and green for Christmas. Hi Everyone!! I was one of the lucky people who picked up the Cricut Explore with a 60% coupon from Joann's. They made a huge mistake letting the coupon apply so I got it for $119, can't beat that. I really wasn't looking to pick one up since I have my Silhouette Cameo but for that price I couldn't pass it up. 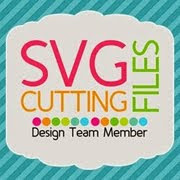 Here's a quick card I made with it, Design Space is very easy to use, but it's nothing like Make the Cute or Silhouette Studio, luckily I have the 1.9 version of SSDE on my computer so I can save my designs as svgs and import them into design space to cut. I'll be able to use my silhouette files which I'm very happy about, I imported some of these cuts from the Silhouette Store. So far I like how the Explore cuts and it's much quieter than my cameo. It also came with a bluetooth adapter so I used my Surface Pro 3, it worked great, really love that. More come as I find time to play!! Reindeer With Lights Christmas Card - PKS Face Day! Hi Everyone!! Here's my Peachy Keen Face Day project I'm sharing over on their blog today! I used the eyes and mouth from the PK-1435 Fall Face Parts Medium set to create this cute reindeer. This set is so perfect for cards, I'm very happy Kathy made this set in two other sizes also, Large and X-Large. 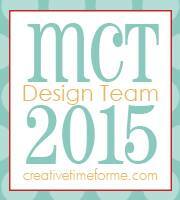 They are great for treat boxes, scrapbooking and home decor projects. The sentiment, musical notes and diamonds are all from the PKSC-31 July 2014, the stamps in this set are so adorable, great for your Holiday cards. I created the background using some Versamark on the PK-1381 Polka Dot Background stamp and heat embossing with some Pearl White powder. I used a blender tool and added the Stormy Sky Distress Ink. The Reindeer with Lights is from Miss Kate Cuttables, the Cloud Speech Bubble was created using one of My Creative Time's Dies and the background with stitching is from Jaded Blossom Card Mat Dies. This tag was made using Dies and Stamps from My Creative Time. The bag was created using the We R Memory Keeper's Gift Bag Punch Board. As much as I love my Silhouette Cameo it's so nice to have dies and these punch boards. For the tag base I used both the XL Label and Stitched XL Label Dies. I cut out two stitched label dies and used the Large Cloud Bubble Edge die on one to create the snow bottom. Using the Let it Snow sentiment and snowflakes from the Winter Cheer Set I stamped using Versamark on white card stock and embossed with white pearl powder. I sponged the tag with Tim Holtz Stormy Sky distress ink and added some dots with a white gel pen. 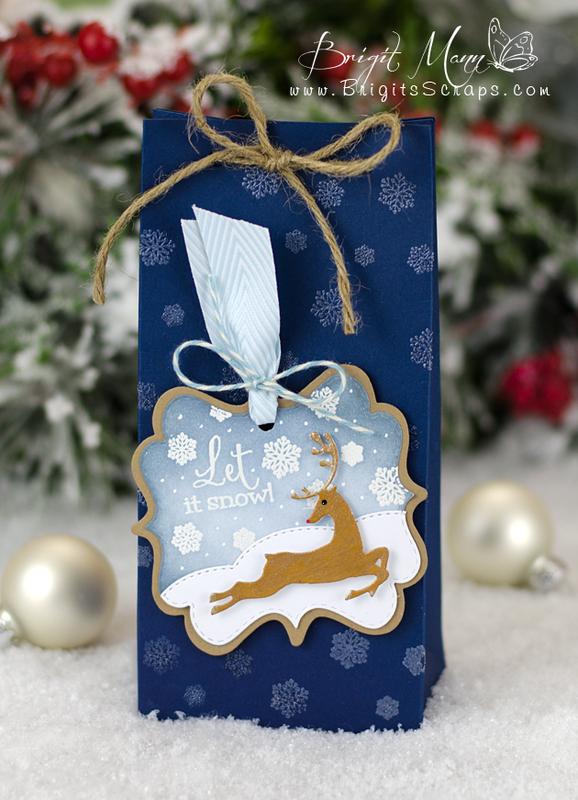 The deer is from the new Oh Deer set, I also stamped and embossed the bag with the Winter Cheer snowflakes. 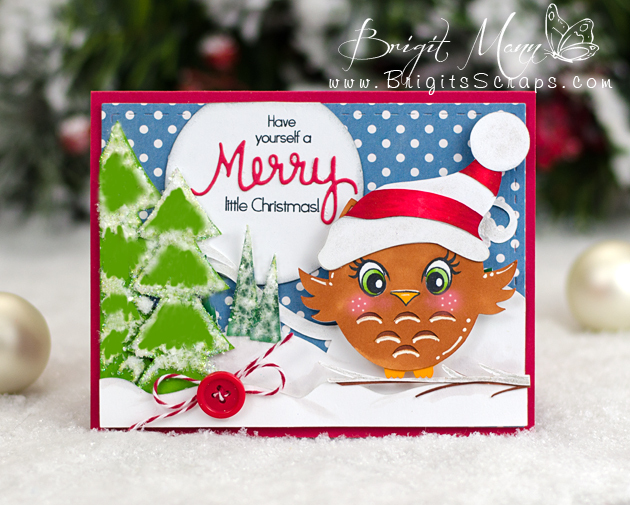 These stamps and dies are so wonderful! !